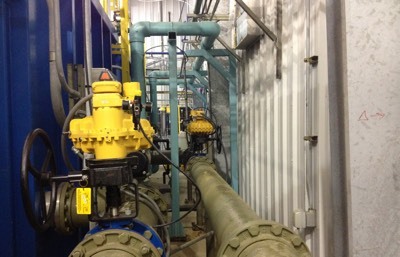 A Kinetrol USA Western Distributor was told by a WTP operator that two 10" Pratt butterfly valves with cylinder actuators that were not working reliably. He also complained they leaked air, and in the winter time, had to have a heater placed next to them to keep the cylinders from sticking. The Distributor specified new butterfly valves and Kinetrol model 14 double acting actuators, manual gear overrides, AP positioners with I/P, ULS limit switches, angle re-transmit, and point-of-use filters.